My Charmed Cabin Life: I Like Big Blocks & I Cannot Lie! I Like Big Blocks & I Cannot Lie! 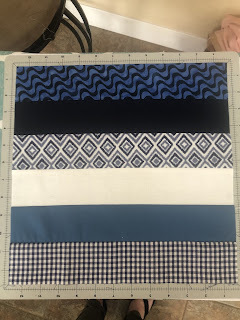 I am really enjoying making new blocks with our new Block of the Month program. I hope you are too! I was checking out the internet searching for new ideas and inspiration when I came across the Hidden Wells Block by Connie Kresin. Have you seen this block? It's amazing! I love it! Immediately, I fell in love with it! 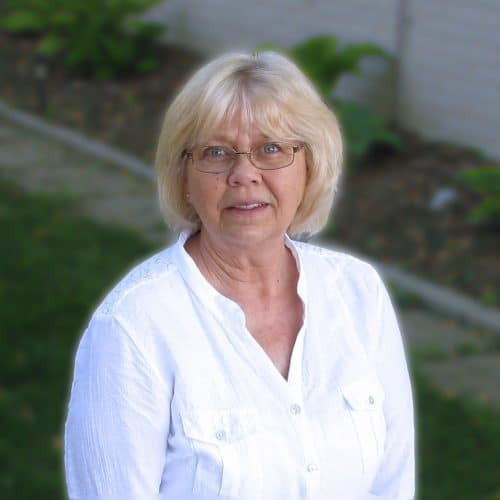 Connie Kresin - Photo from her blog. One thing I really enjoy doing is reading and learning about the person who created the block or pattern. Connie Kresin Campbell has her own blog and you can find a link to it here: Connie Kresin Campbell Blog. Connie is amazing! You must check out her blog and read all about her! Her blog is called Freemotion by the River. 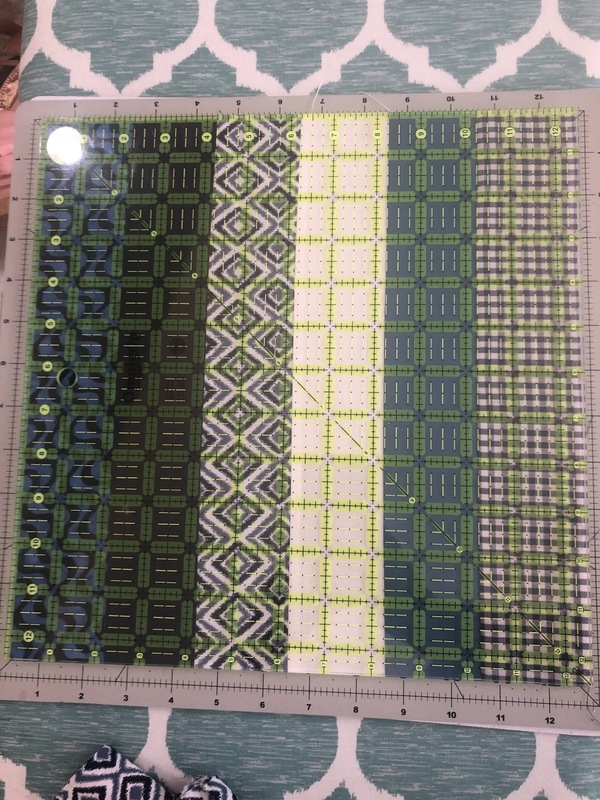 Can you tell what type of quilting she enjoys? 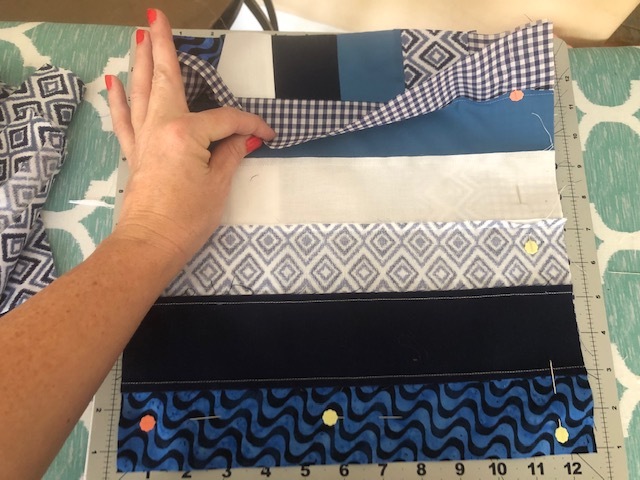 Her blog is a wealth of knowledge and tutorials for us quilters...FREE tutorials! So it's a no brainer when I decided I had to share her with you. 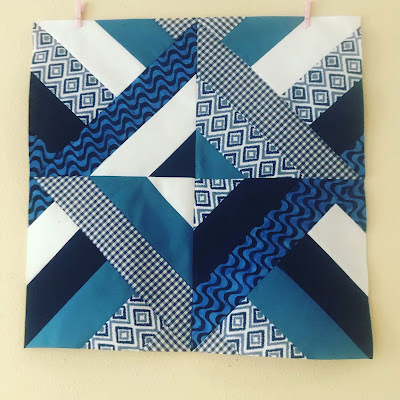 She's been featured in craft magazines, worked in craft shows, published on Craftsy, and even an ambassador for Island Batik, and she does monthly blog posts for AccuQuilt! In other words, she's amazing! She writes and sells her patterns too, so if you would like to see her in your local quilt shop - Tell them! This block looks hard right? It's not. 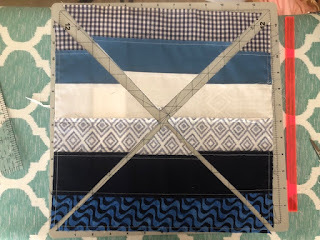 A beginner quilter can do this and easily! It's 2.5" strips sewn together, cut up, and then sewn back together. Here's my experience with making the Hidden Wells Block. I wanted my block to be larger than what Connie's turned out. Mainly because I had so many strips of different fabrics that I just had to experiment with it. I just couldn't narrow down my fabrics to make the smaller block...It's hard to do when you have so many awesome fabrics! 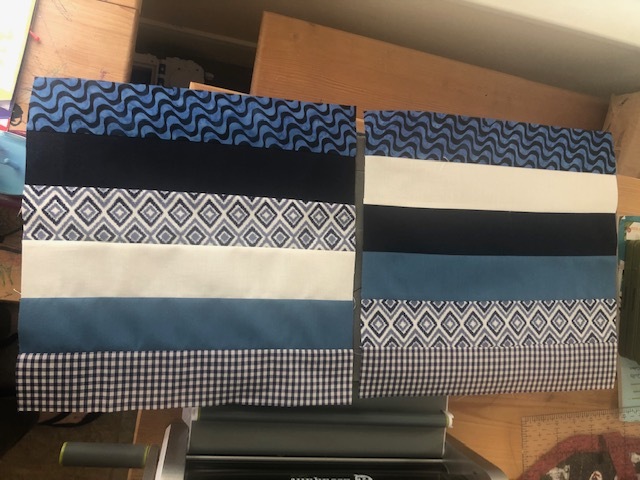 I sewed 6 strips together with a SCANT 1/4" seam. th my 12.5" block template. Can you believe that's the hard part? Already halfway there! You will leave one block on the table and then take the other block and place them right sides together - Only Turn the Top Block Opposite of the layout of the bottom block! Pin them together all the way around! Sew a 1/4" Seam all the way around the block. Yes, all the way around. You are going to open up each one and it creates a smaller square. Press those seams! Move the blocks around until you have a layout that you like and attach the quarters to make two halves with a 1/4" SCANT seam. Then attach halves to make a complete block. **Only caution is to line up your seams to make the lines straight and consistent. Then....You have a finished block! It looks really great and really HUGE! Mine measures 16 1/8" after trimming and squaring it up. 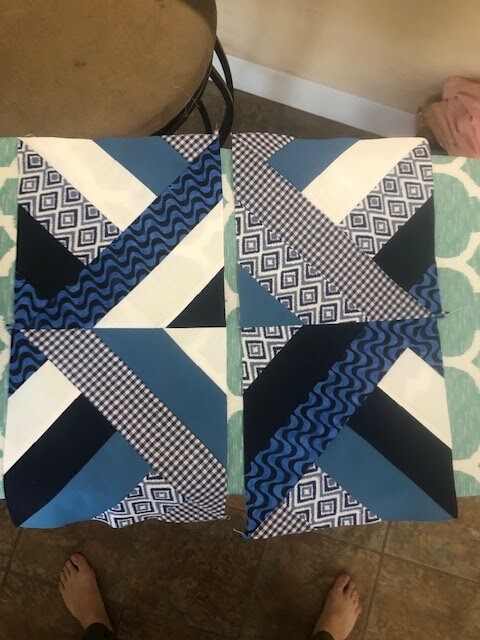 So making just 4 of these blocks can make a great throw size or baby quilt. I used these blues to make a charity quilt for my local bee. I think they came out great! Our charity bee loves the throw size quilts for donations so this will be a quick quilt top to put together. Two by two blocks with a border and you're done! Overall, my experience with Connie Kresin's tutorials was wonderful! 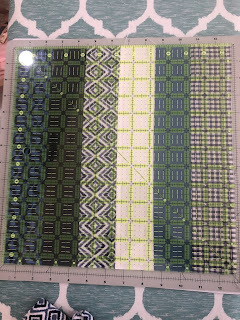 I look forward to checking out more her tutorials and learning more quilting techniques and new quilt blocks! Her instructions may be easier than mine, so please go to her site! 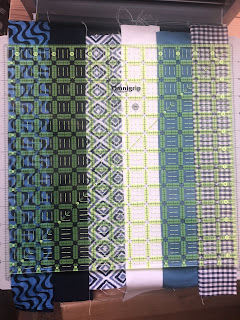 I have really enjoyed Connie Kresin's site and I suggest for any quilter to take a ponder and see what she has available. She has TONS of FREE patterns! What's your favorite Connie Kresin pattern? Post it in the comments! It's a Holiday! Let's Celebrate! 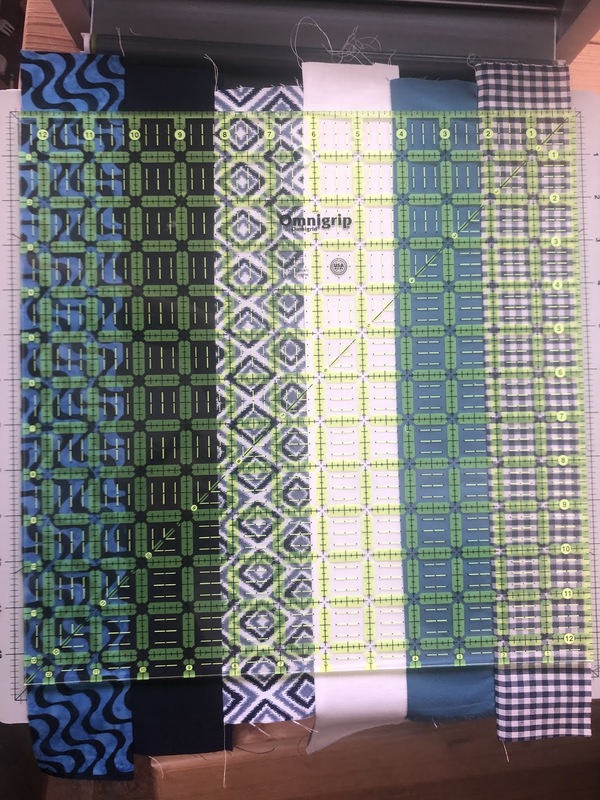 Custom Quilt Orders - UPDATE!